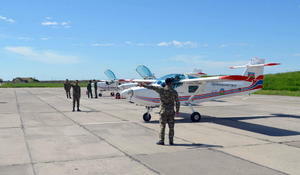 Intensive training is underway to improve professional qualification of the military pilots of Azerbaijani Air Force in accordance with the combat training plan for 2019 approved by the Azerbaijani Minister of Defense, Trend reports referring to the Azerbaijani Defense Ministry on April 22. 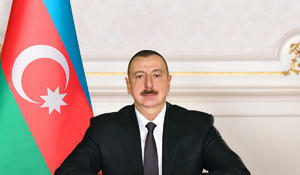 President of the Republic of Azerbaijan Ilham Aliyev has sent a letter of condolences to President of the Democratic Socialist Republic of Sri Lanka Maithripala Sirisena. 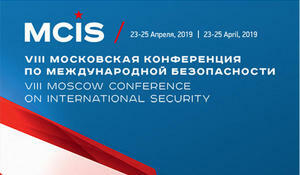 The delegation led by Azerbaijan’s Deputy Minister of Defense, Lieutenant General Kerim Veliyev will take part in VIII Conference on International Security to be held in Moscow on April 23-25, Trend reports with reference to Azerbaijan’s Defense Ministry. 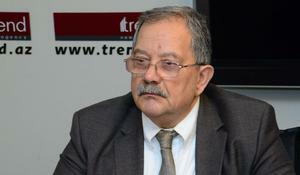 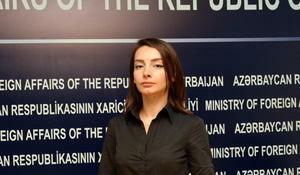 The delimitation process of the Azerbaijani-Georgian state border continues in accordance with the good intentions of the parties, aimed at achieving the results that will satisfy both countries, spokesperson for the Azerbaijani Foreign Ministry Leyla Abdullayeva said in an interview with Trend on April 21. 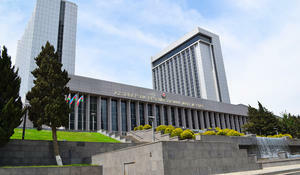 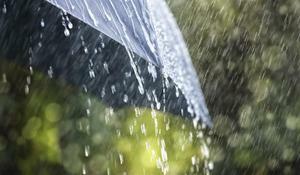 Azerbaijani Foreign Ministry condemns terror attacks in Sri Lanka, Trend reports on April 21. 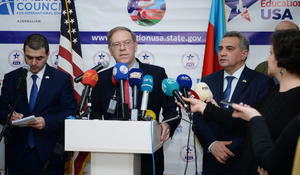 The EducationUSA Alumni Fair on April 20 featured information about more than 26 universities in the United States, as well as various scholarship programs to help Azerbaijani students reach their goals of studying in the U.S., Trend reports. 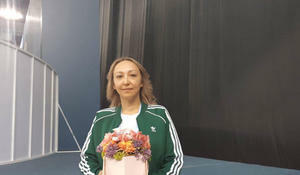 It is very nice to celebrate my birthday in Baku, in such a beautiful gymnastics hall and with my trainees who are participating in the AGF 2nd Junior Trophy in Rhythmic Gymnastics, coach of Kyrgyzstan national team Saule Tlebaldinova told Trend. 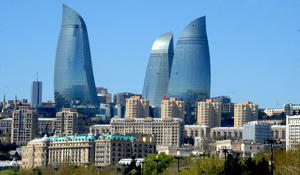 In terms of demographic development, Azerbaijan has become a leading country not only in the CIS area but also among most of the European countries. 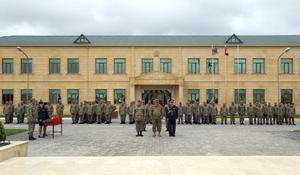 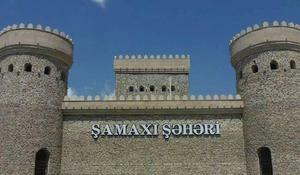 Upon the instructions of President of the Republic of Azerbaijan and Supreme Commander-in-Chief of the Armed Forces Ilham Aliyev, activities on improving the control system and bringing it up to the level of high technical standards are being carried out as part of the modernization of Azerbaijan's Air Force, Trend reports referring the Ministry of Defense of the country. 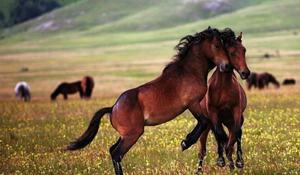 The Karabakh horse, a breed included on the UNESCO List of the Intangible Cultural Heritage of Humanity, can truly be called the pride of the Caucasus. 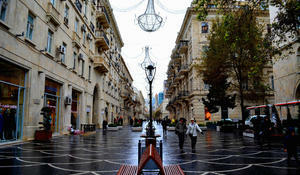 Baku will soon become a more comfortable place for the residents thanks to the realization of the city’s new master plan aimed at ensuring the capital's sustainability and systematic development. 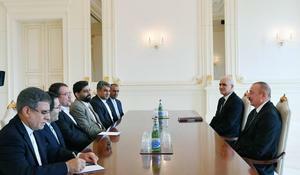 President of the Republic of Azerbaijan Ilham Aliyev has received a delegation led by Minister of Industry, Mine and Trade of the Islamic Republic of Iran Reza Rahmani, Trend reports referring to the Azerbaijani presidential press-service. 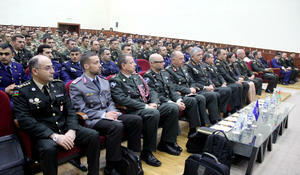 The Director General of NATO’s International Military Staff Lieutenant General Jan Broeks who is on a visit to Azerbaijan started it with attendance of the Alley of Martyrs. 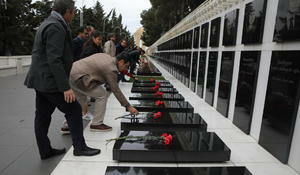 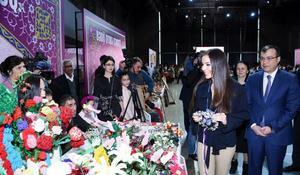 He paid tribute to the memory of Azerbaijani citizens who sacrificed their lives for the freedom and independence of their motherland and laid flowers on their graves, Trade reports referring to the Azerbaijani Defense Ministry. 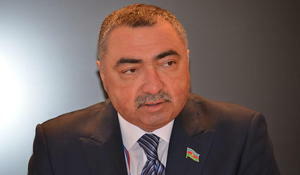 Azerbaijani MPs Nagif Hamzayev and Rufat Guliyev will leave for Kyiv on April 19 to observe the second round of the presidential election in Ukraine, Trend reports April 18.